I love almost any vegetable cooked on the grill, and if we are grilling meat or seafood I usually try and grill my vegetable sides as well. 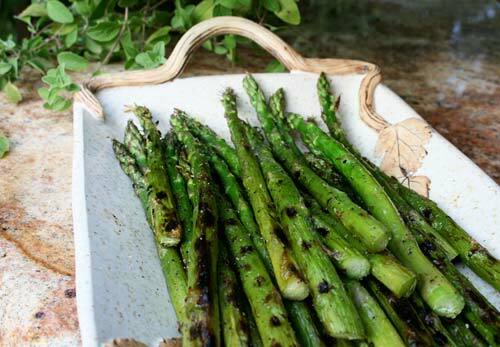 Asparagus is one vegetable that is delicious grilled lightly brown and just tender to the bite. This is a very easy recipe that can be put together and coked in minutes once your grill is already hot. Grilling vegetables brings out the natural sugars and flavor, requiring simply a little seasoning and a brush of olive oil to create a healthy vegetable side dish. Grilling vegetables brings out the natural sugars and flavor. Cook on the grill over medium low heat until the spears are tender, about 7 minutes, turning frequently.